I know all those Percy Jackson fans love this girl. But do you really know her? Find out in this awesome quiz! So you think you know the correct ship names? Who does who like? Let’s see if you know in this shortish and increasingly hard quiz. 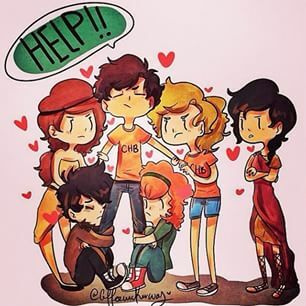 How well do you know the characters of the Heroes of Olympus series? Whether it's something major that happened in their life or a small detail about them? How well do you know Magnus Chase? Test your knowledge here! How well do you know Nico di Angelo? How well do you know Nico di Angelo? Well now find out. How well do you know about Will Solace? Percy Jackson test-DO YOU KNOW HIM?